I enjoy having Western cuisine and among all of them, Italian cuisine is at top of the list. 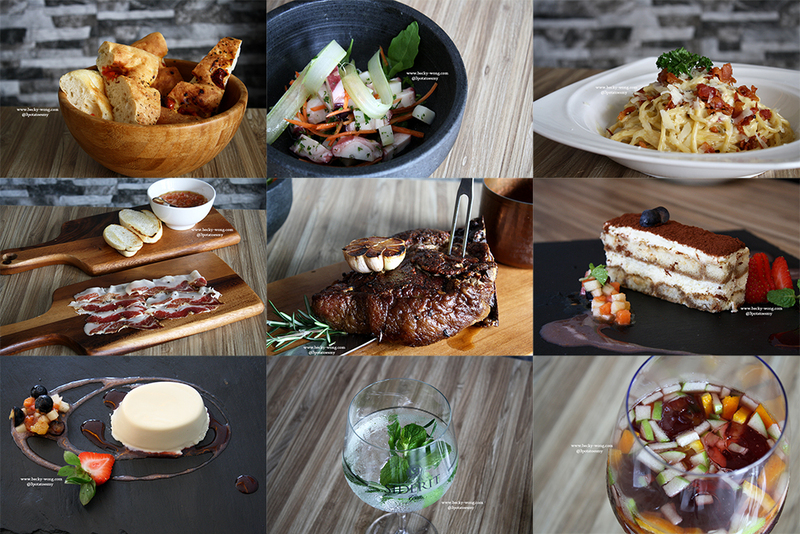 The beauty of Italian cuisine is in its simplicity yet pack with flavours. There are many restaurants offering Italian food but most of them have localized their dishes. 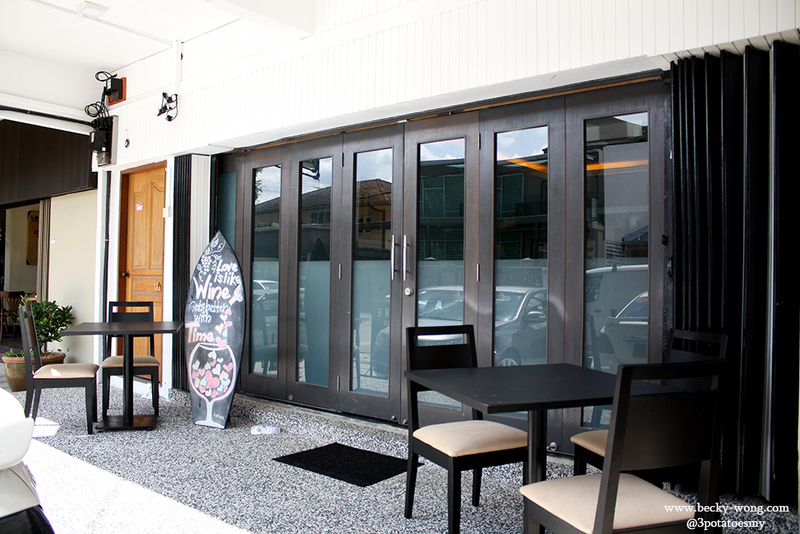 Fortunate for me, I found an Italian Spanish-Mediterranean Restaurant in Ampang serving authentic Italian and Spanish food. Sapore means flavours in Italian. The restaurant is headed by Chef Fabio, who has 10 years of culinary experience. Chef Fabio found his passion in culinary at a young age and started working in the kitchen when he was only 19. Throughout 10 years of culinary journey, he has worked in various restaurants, including a 5-star restaurant in KL before opening Sapore. 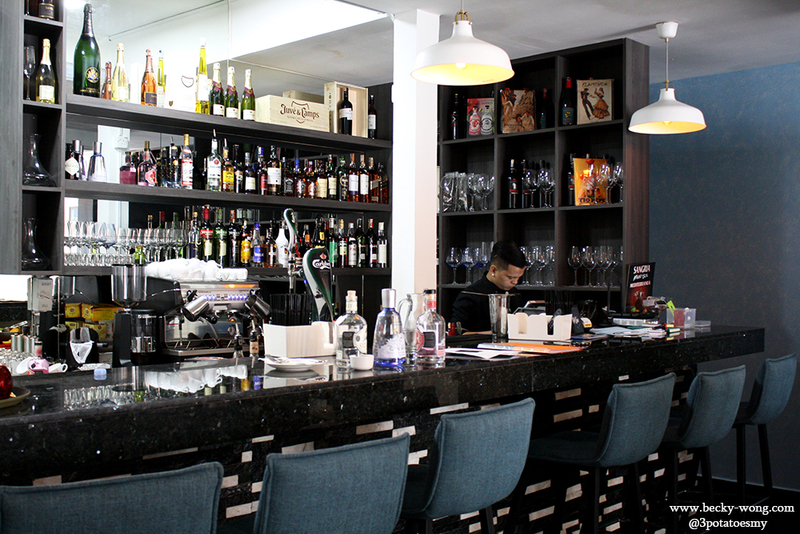 At Sapore, they are all about Jamon Iberico, tapas and wine. We had such a good time at Sapore and I've been missing the food since then! When it comes to bread, nothing beats bread that are fresh and artisanally-made. 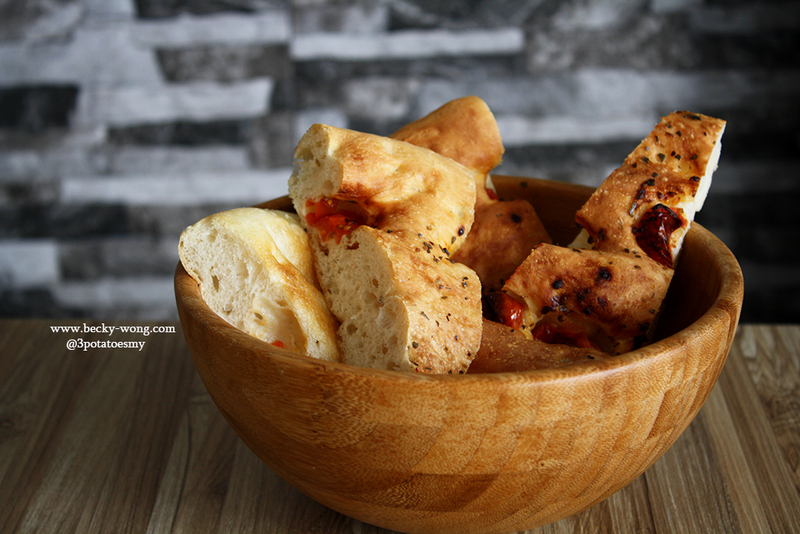 This Basket of Focaccia (complimentary) / RM 5 (additional) was magically chewy yet soft. It was very addictive! Seriously, if the bread can be this good, I can't wait to try their other dishes! 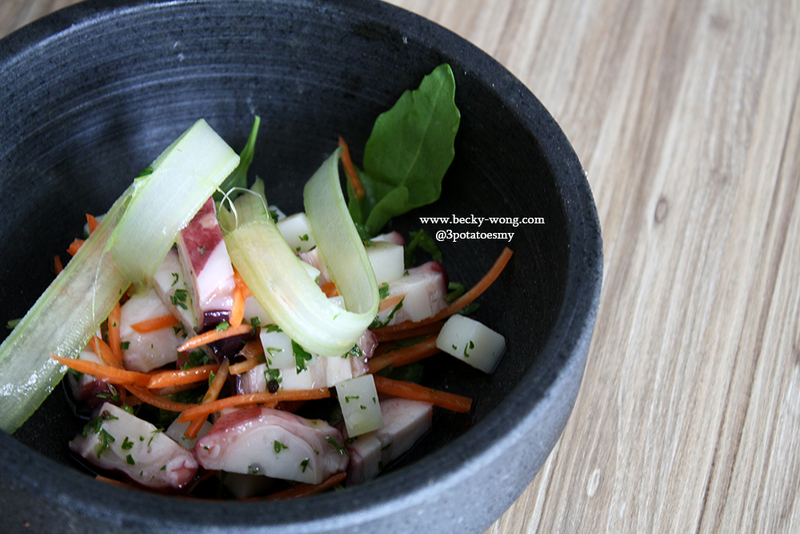 The Octopus Salad with Potato & Celery (RM 32) is cold tapas. The octopus was perfectly cooked and tossed in savoury dressing; the celery was crunchy and very refreshing. This cold tapas is certainly a good way to start your meal. 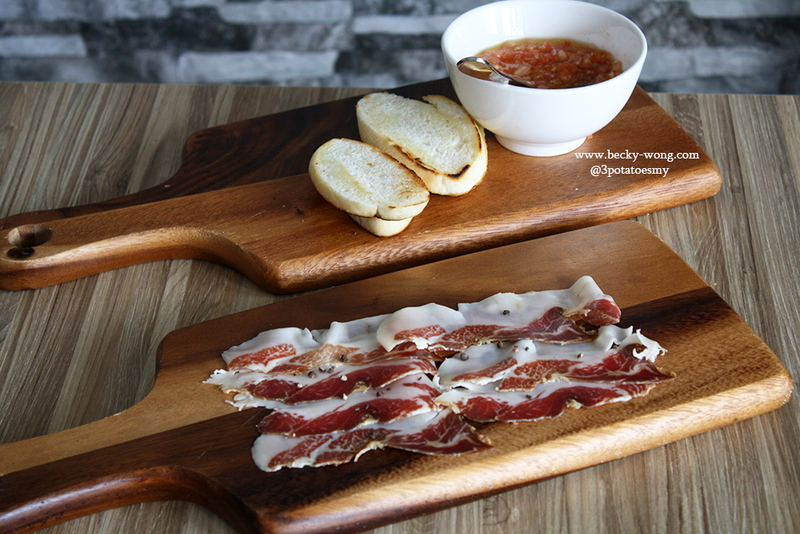 Jamon Iberico Ham Shoulder (RM 45). If you know your pork, you'd know Jamon Iberico is the finest ham in the world. Usually I'd go for bacon than ham, but this.... this... Jamon Iberico ham had totally won my heart. 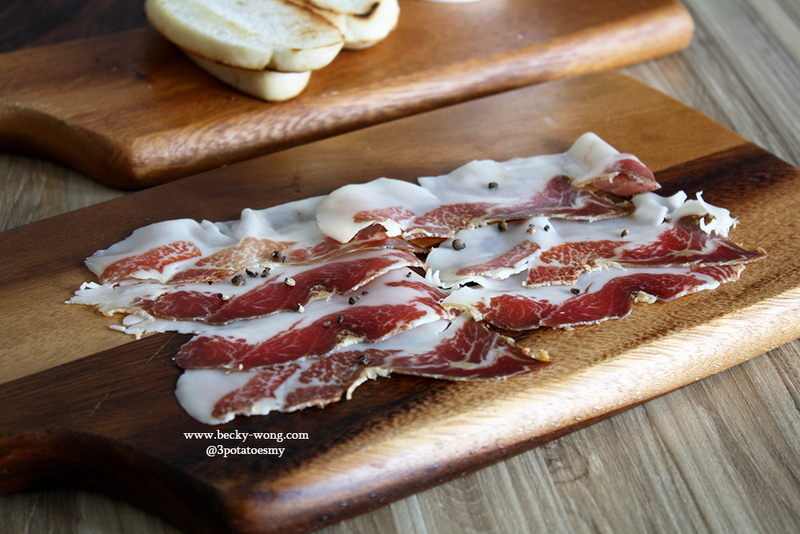 Due to the diet of Iberico pig (they feeds on acorn), the ham had intense flavours and melt in your mouth texture. To cut down the fattiness of the ham, pair it with the bread and tomato with olive oil served at the side. Looking at this made my stomach growl again.... I WANT MY IBERICO HAM!!!! If you never enjoy eating carbonara, this Spaghetti Carbonara (RM 28) will definitely change your mind! 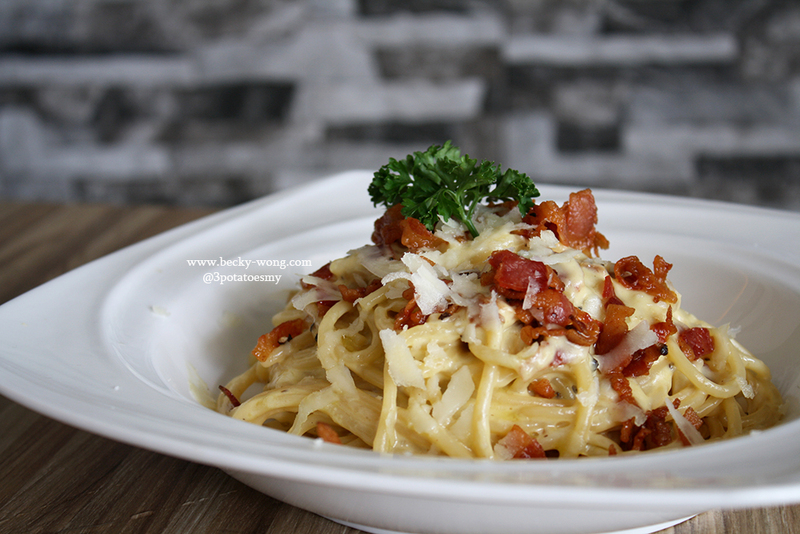 Instead of adding cream, Sapore prepared their carbonara the authentic way. This means, egg yolk, Guanciale ham and Pecorino cheese! The spaghetti was al dente, served with crispy ham and Pecorino cheese. It was rich yet not too creamy, and it just gets better with every bite! STEAK!!!!! 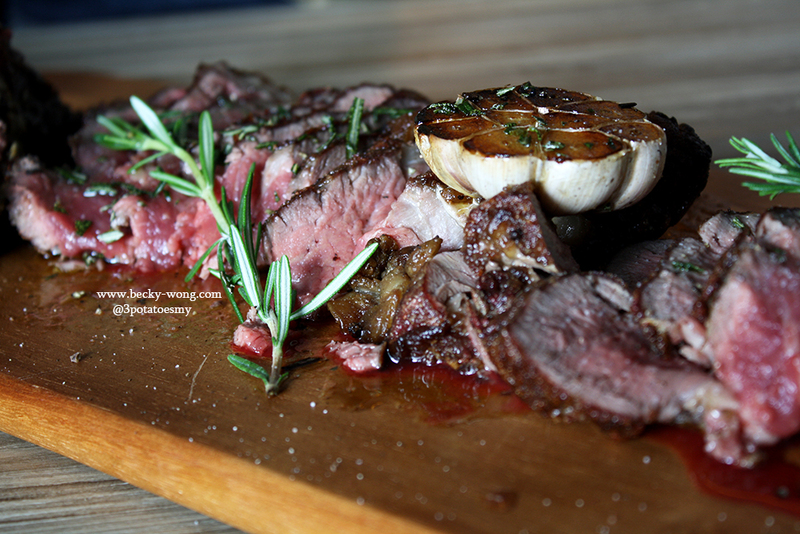 I couldn't take my eyes off this beauty piece of 1.1 kg Dry-Aged T-Bone (RM 238) from the kitchen. 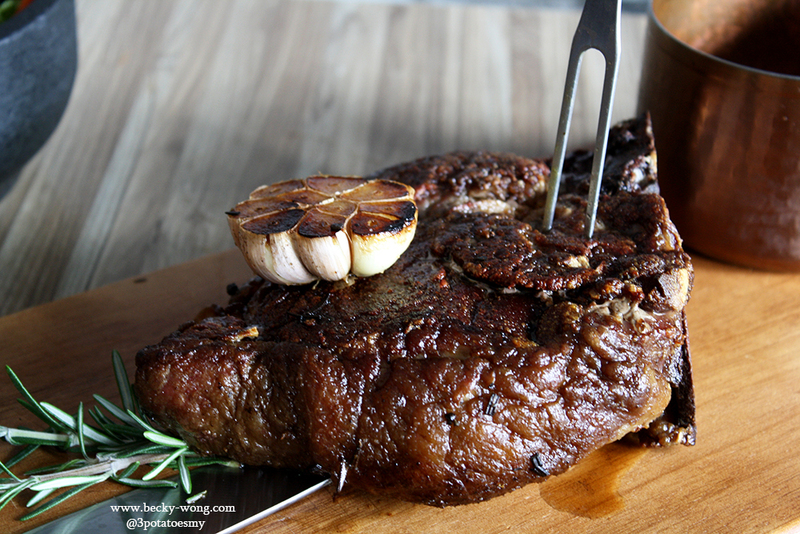 Seriously, if you love steak... YOU HAVE TO TRY THIS! The steak was perfectly cooked to medium-rare and super tender and juicy! On top of this, I like how they have kept it simple without drowning the steak with gravy. Although it's 1.1 kg, I can finish all of the beefy-goodness all by myself without any problem! 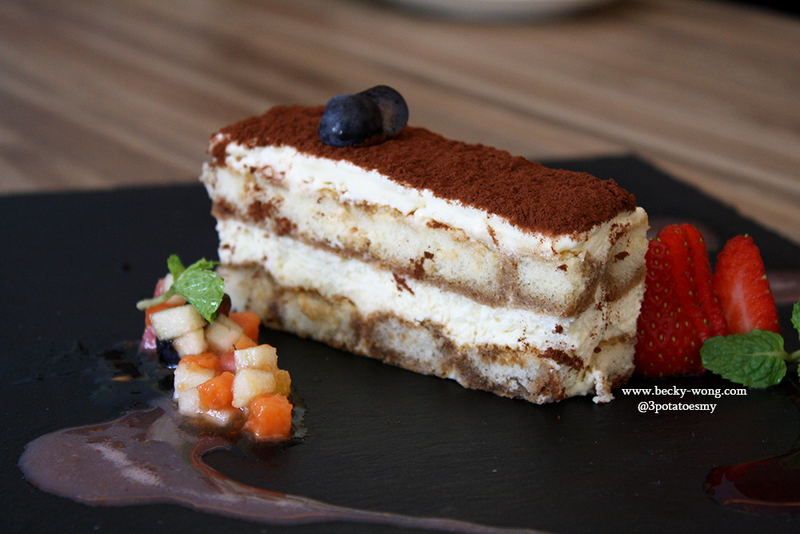 When dining at an authentic Italian restaurant, having Tiramisu (RM 20) as dessert seems like a no-brainer. The aroma of coffee and Kahlua along with the crunchy-texture of ladyfingers, the tiramisu is a perfect way to end a meal. 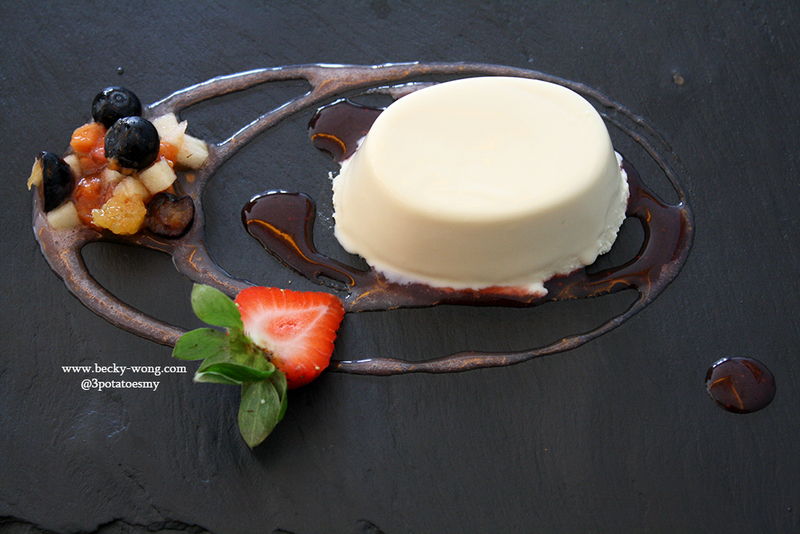 For something rich and creamy, the Panna Cotta (RM 12) is a good choice. We tried out some interesting cocktails too. 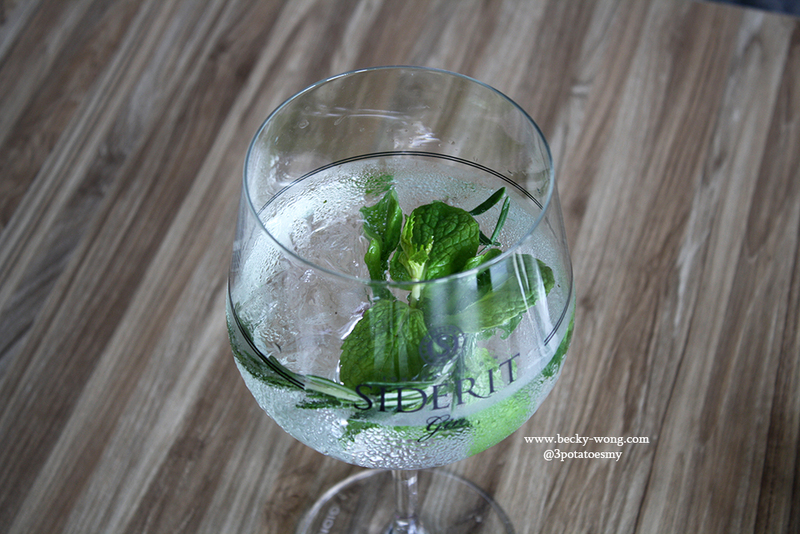 Siderit Gin with Mint Leave, Rosemary Leave and Tonic Water (RM 42). I like the hint of Rosemary and cooling sensation from the mint leaves. 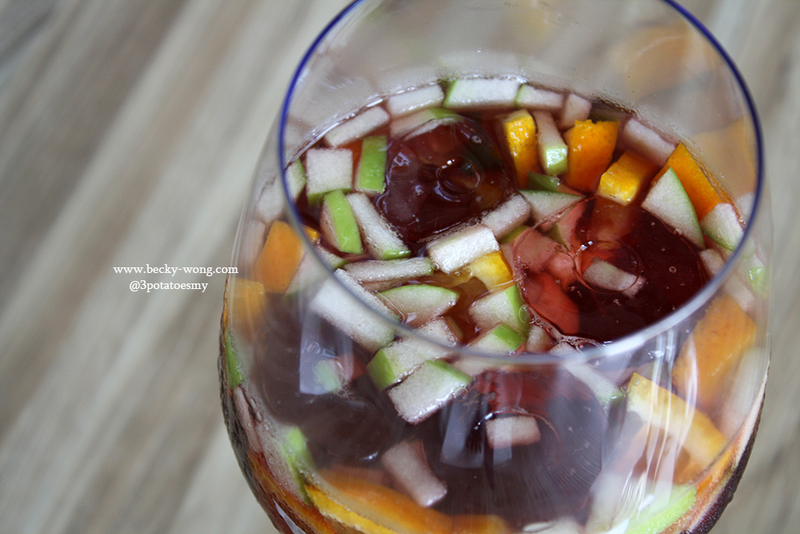 Sangria served with assorted fruits and red wine. 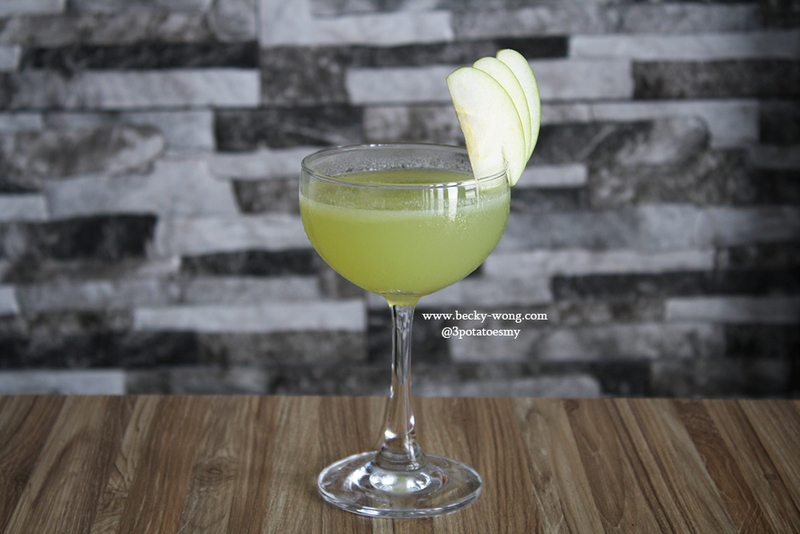 Sopore Verde - Vodka, fresh apple juice, lime juice, apply syrup, and dash of passion fruits. 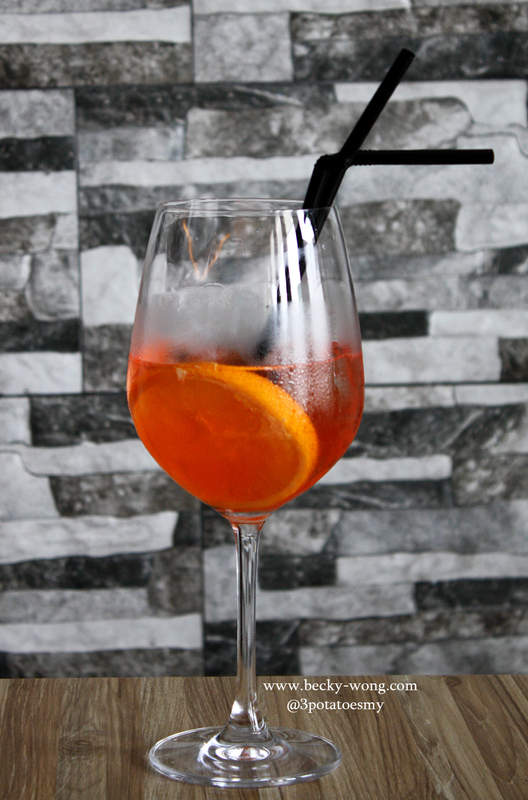 Italiano Sapore - Campari, Prosecco, orange peel and soda water. 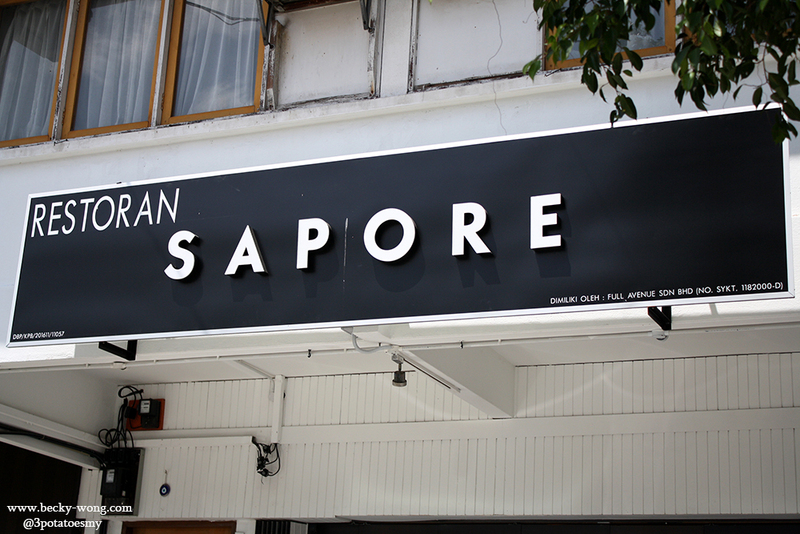 Rarely we came across a restaurant that we love every single dishes served, but Sapore definitely fit into the list. All of the dishes were meticulously prepared by their chef using imported quality ingredients. Just as their slogan goes "Serving you Artisan Food and Fine Wine", if you enjoy good food and wine, Sapore is a place you cannot miss! For any updates on Sapore, do visit their Website and follow both their Facebook and Instagram.